Are you ready for another incredible competition? Then how about this; we've teamed up with British system builder Chillblast to give you the chance to win a Fusion Bladerunner Media PC! 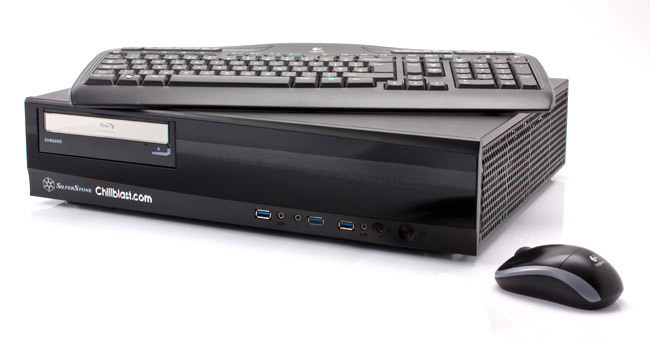 The award-winning Home Theatre PC features a slimline SilverStone chassis, an AMD Llano A6 processor, 8GB of memory, a Blu-ray optical drive, and Logitech MK260 Wireless Keyboard and Mouse. I have have bought a new HD TV so this would be a perfect companion. One of a kind COMP, thanks Hexus and ChillBlast! Not your usual comp this, plus I'm a HTPC owner, so this would be a nice addition to the family! Ooooh very nice :) Done thanks. Blimey. That would be lovely !